Didn’t realize last week that the truck labelled “Pathology Exam” would flatten me so thoroughly. Honestly though, I also took advantage of the out studying for the exam gave me because I’d run into a little problem. Up till now, I’ve been leading you through the State Fair lots in numerical order – blankets, shawls, mittens. It made for a fairly easy structure to follow. However, starting with the next set, there was going to be a problem. Lots 360 – 362 Scarves, sorted by yarn weight: I don’t have much planned for these yet. It’s a reasonable set of categories that I may save for next spring/summer, when I’m looking for a few more projects to round out my entries. At the moment, I have nothing to show you – no pictures of already completed projects, nothing in progress, not even a pile of yarn. Lot 363, Gloves: I definitely have plans for this lot and all I’ll say it that it involves cables, colorwork, laceweight yarn and US 0000 needles. That’s, er, actually why I can’t show you anything at the moment – I don’t own any US 0000 needles. Anyway, so on and so forth. All I have are plans and balls of yarn, no pretty pictures. Why? Well, school. Also, Lots 377 and 378. Let me first say that I have no expectation of gaining my coveted blue ribbon in any of the sweater categories. I’ve seen the winners in these categories and I’m not quite there yet in terms of embellishment and/or finishing technique. However, I committed to making these sweater before I conceived of this mad plan, so they may as well get their day in the sun next summer. 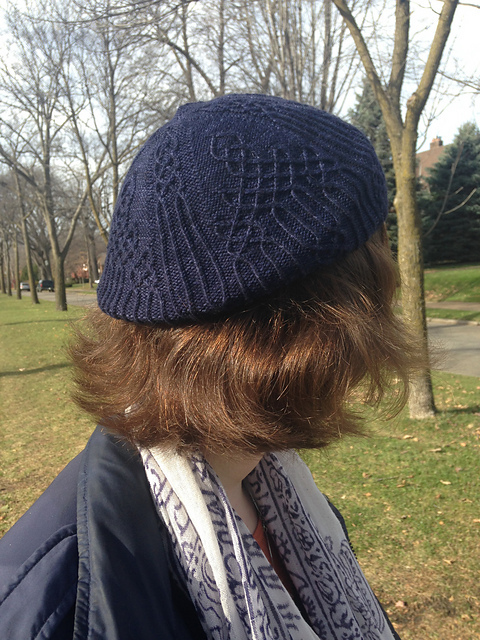 This is the Staghorn Aran pattern, by Janet Szabo. I’m making it for my dad, who’s been intermittently asking for a sweater for about five years now. It’s knit from Cascade 220, one of my favorite worsted yarns, if only for the fact that it comes in a billion different colors. This sweater is also officially the biggest I’ve ever knit – previously, I’d only made sweaters for myself, babies, and one friend who’s approximately the same size as me. It’s going well. Try not to laugh when I tell you that I hope to have it done by the end of the month. Since I was making an Aran for my dad, I realized that I’d never made one for myself, despite drooling over them for years. 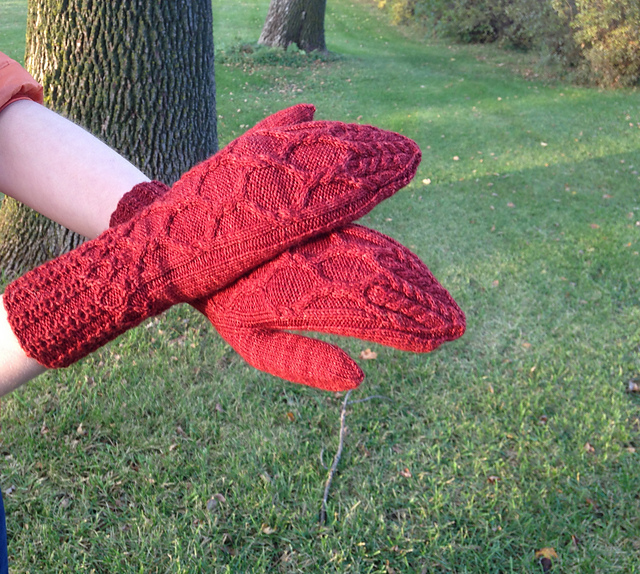 First I had to get over a love affair with Alice Starmore’s St Brigid pattern (nothing like an extra five years of experience to help you realize that won’t like knitting or wearing something) and then I had to find something perfect. Obviously, perfection is hard to find, so I’m using a sort of choose-your-own-adventure pattern that has notes for converting to a cardigan and selecting your own cables: FLAK by Janet Szabo. One of the cables is from the St Patrick sweater in A Fine Fleece by Lisa Lloyd and another actually was pulled from Alice Starmore’s Aran Knitting. I hope to be done with this one by the end of November. Actually, these two are entered in a competition based on Ravelry that finishes up on November 30th. But don’t worry! I’ve carefully calculated how much I need to work on each one each day, that really helps me. 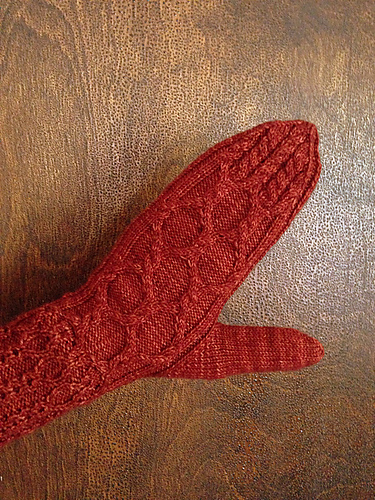 I just need to knit 8 rows a day on the Staghorn until October 21, and then switch to 30 rows a day on the sleeves of my cardigan for the remaining ten days of the month. No sweat. Coming up…uh, probably slightly more complete sweaters, maybe with the finished versions of the mittens I showed you earlier.